This past year we have seen quite a bit of a progression in both Luke's and Abbey's reading skills. Abbey has had a great love for reading since she was a tiny baby. She decided early on that she wanted to read independently. 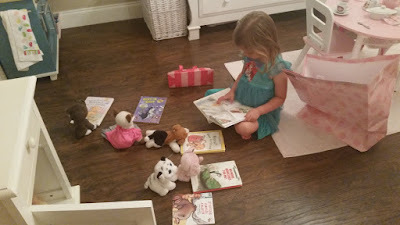 So, at 3 years old, she began reading. Now, at just over 4 years old, she is reading really well. We are checking out Kindergarten and First grade level books at the library for her to read and she reads them with ease. Do I think Abbey is super smart for reading at a young age? Not necessarily. Abbey was just very interested in it and really wanted to learn, so I followed her lead and supplied her with books and some tools to learn. She pretty much learned all by herself though. Believe me--I am no expert reading teacher. I never spent time with her using flashcards, or drilling her on the sounds each letter makes. We have plenty of games and tools at home that she can use at her will with just a bit of guidance so she can learn on her own. We read together and I teach her "rules" of the English language as we go. Had she not been interested in learning, she would not be reading at the level she is currently, and I believe that is perfectly alright. This style hones in on the child’s interests and preferences in selecting subjects to learn and methods for learning. In such learning environments, children are not forced or coerced into learning. Instead, parents work to follow the lead of their children, providing support, resources, and instruction, in keeping with their children’s wishes. The premise is that children learn best and rise to their full potential when they are allowed to lead the way and explore subjects when they feel ready. Proponents often state that traditional education may actually dull a child’s interest in the world around him, encouraging him to learn simply to pass tests. Once testing is over, they assert, children forget much of what they learned because they were not interested in the first place. Of course, we also provide structure. And, I believe reading and math and many other subjects are very important, but we follow the kids' lead on when they are ready and interested and how they desire to learn. So far, this method of learning has been very successful for us. 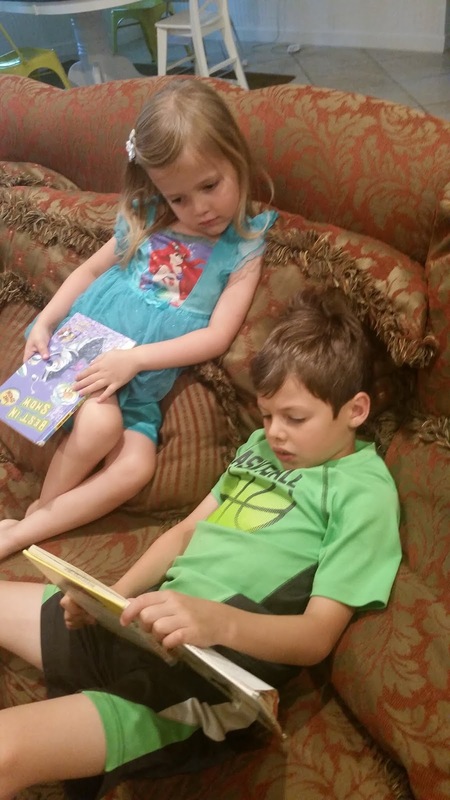 When Luke was Abbey's age, he was not as passionate about reading. He was building very complicated lego sets. His attention span was so large, that he could sit for literally hours building things. He also loved puzzles and enjoyed piecing together puzzle after puzzle. He loved technology, robots and electronics. Because this is what he enjoyed, we provided him games and toys that were geared towards technology and building. His skill level in this area continued to grow and grow as he was given lots of time to "play" with these types of toys. Luke learned to read when he was her age, but he stayed at a very basic level of reading until he turned 5 and a half. He really didn't have a big interest in reading at all. And, that was alright. Then, when he realized that by reading he could look up lego sets on Amazon, he suddenly took up an interest in reading. So, at that point, we began a formal reading curriculum. We found a curriculum that he loved. He progressed rapidly this past year through our reading curriculum, Explode the Code. He is currently reading at a 3rd/4th grade level now and is enjoying checking out books at the library with characters and story lines that he enjoys and are at 3rd grade level and above. 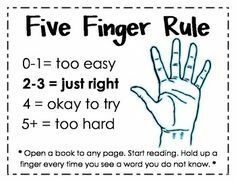 We are encouraging him to read more challenging books (using the five finger rule) so that he continues to progress. He is our perfectionist, and doesn't like to miss a word. When he was first learning to read, if he missed one word then he would think the book must just be too difficult for him. But, now, he realizes that when he reads more challenging books, his brain grows. I love having both of the kids read to me now. It really is one of my most favorite parts of the day. We snuggle up on the couch. They read books they have selected and giggle as the funny stories unfold. The kids get to pick out books that THEY want to read and are within their reading level. We go to the library each week and select new ones. It is exciting to them to get to pick any book they want. (How awesome is the library?) So, to know that they are enjoying this special time as much as I am and it is not just a "school task" that I am requiring them to do makes me super happy. In homeschooling, one of my main goals is to provide an environment that encourages the kids to become passionate about learning, and be able to do so independently. So, to see them excited about their recent reading progression is really exciting to me! Abbey loves reading so much, that she even reads to her stuffed animals. They love to take turns reading books to each other. Here they are early one morning, bed head and all.